So, It’s finally out there. On Steam, for everyone to play. I’ll be updating, fixing and adding little details for a few months I think but other than that it’s basically all done. It feels a little odd to think that something I’ve spent over 9 years making is coming to a close. I’m super happy that I’ve got this far and it’s in the hands of people that and told me how much they’ve enjoyed playing it. It’s a great feeling. However, I’ve also already started forming the various ideas for what I’m doing next into something a little more real. This time I’ll be going into it with the intention of selling something at the end which was not something I did for The Moonstone Equation. It as a spare time project in which I could play with game-play ideas and test my engine. There wasn’t any plan about how it could be sold or marketed. 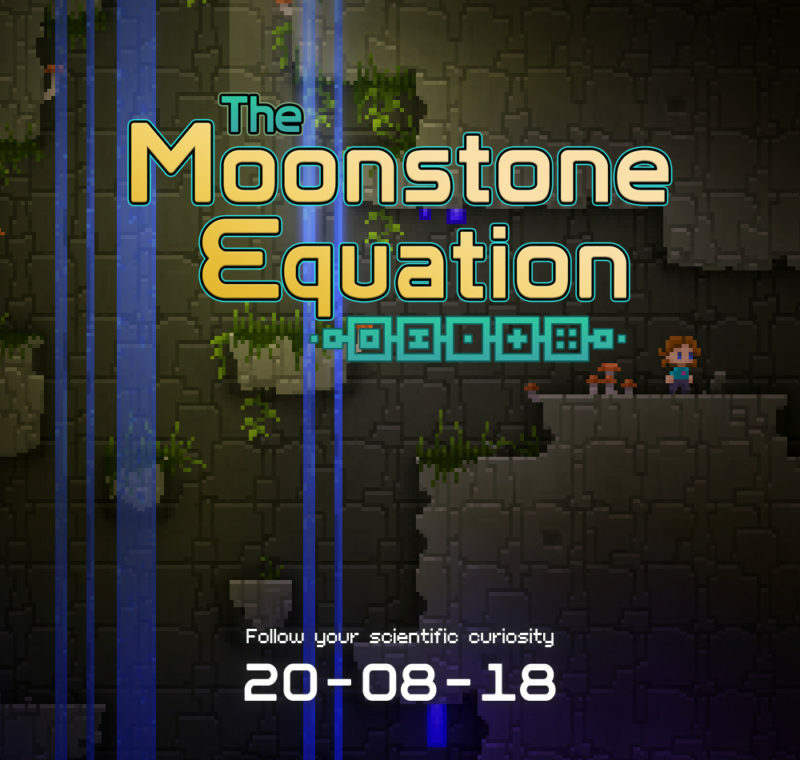 If you enjoyed games like Fez, Luminocity or Braid then you might also enjoy The Moonstone equation. After months of working quietly behind the scenes it’s finally time to reveal the final form of my little personal game project. A little while ago I started to realise that Dr Dog was not going to be the final main character for Moon. He’s endearing in many ways and as one of the first assets I created for the project is a very hard thing to decide to change. However, from a game design and story point of view he’s creates several issues that really aren’t going to change unless he is replaced. In the Image on the left you can see Dr Dog standing in his Idle pose. He stands like this anytime you’re not moving. As you can see he’s not one for wearing a lot of clothes and he likes to stand very upright. He’s also about 14 ‘pixels’ high. My original decision to just give him a collar quickly made my life tricky when it came to drawing any other characters (for you to interact with). Because He’s not wearing clothes they should all do the same, to keep the world consistent. This means my only real choices for deferentiating one character from another is in type of animal, fur/skin colour, choice of hat and perhaps with a prop (like a hand tool). This whole problem was only made more tricky by the choice to use a 16 by 16 ‘pixel’ tile size for everything. 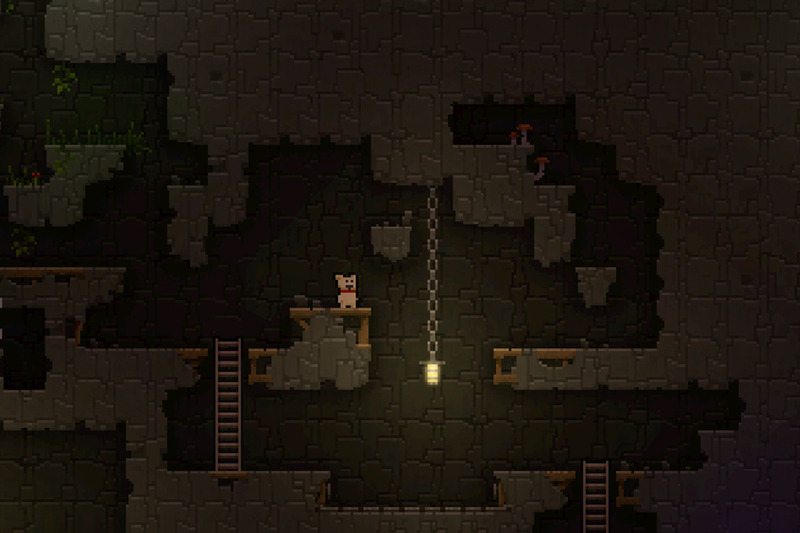 It’s very hard to draw a convincing and identifiable goat, rabbit or pig in 14 by 11 pixels. Not impossible, just really really hard. Next, is his shape. He has a very straight profile. As you can see along his left edge there’s just a single little pixel sticking out to represent his other arm, and without that he’d be straight along one edge from head to toe. The more I saw this, the more I wanted to change it. So in short, he had to go. This is Alice. 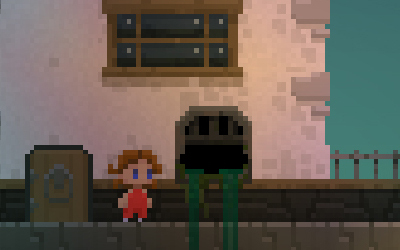 She’s 15 ‘pixels’ high when standing idle and she looks like she wants to go places even when stood still. She also likes wearing clothes, doing science and exploring. As you can see her profile is much more interesting. Straight away things got better.It’s much easier to make other charatcers that have some personality when you can dress them up. I also extended the character sprite system to allow the characters to extend outside the bounds of the 16×16 sprite borders. 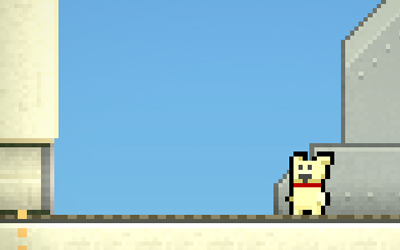 This means that animations can be a more dynamic and if for some reason I want someone to wear a huge hat I can. After what may seem like a very long time, the number of pieces left to be added to Moon before it could be considered complete is finally starting to get smaller not bigger. There are no obvious new bits of feature or technology to be added, the main structures of the entire game world have been laid out and there’s now a real sense that as long as I stick with it I could actually release a finished product. A game that a few people might enjoy playing (and maybe even paying money for). Don’t go rushing off to steam just yet, there are still plenty of things to do but I can start to put actual numbers on things in a way that I’ve just not been able to do up to this point. With numbers I can count down the remaining work and even see a point in the future when they all reach zero and I release it all into the wild. The landscape of indie development is littered with games that never got finished. I recon it probably kills about 99% of the projects ever started. So, as another year comes to a close I have to think and hope that I have enough drive to be in the 1% and release a completed game. That or go mad trying. That brings me to the next important thing to get done. Something I’ve made a very small start on is raising the profile of Moon and deciding what changes need to be made to make sure it can be found, seen and sold to as many people who might enjoy it as possible. So far there is one huge thing that has become a concern. The name of the game. 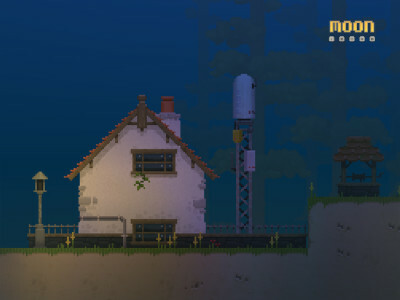 Moon is a nice short snappy name that hints at the subjects of the game and even has a little mystery to it. However, it’s also the name of earths closest celestial neighbor, an object you will almost exclusively be told about and given pictures of if you enter its name into Google. For this reason it probably needs to change. Picking a good name for a game is a big deal. Big publishers have whole departments of people devoted to that sort of thing. However, by the looks of things, many indie developers simply start thinking of a word or phrase that doesn’t yet occur much in Google search results (or any existing language) and just use that. The steam store and indieDB are littered with weirdly named games. I assume that this comes from some assumption that the name of a game should be as unique as possible. This is just not a good approach. The name of a game should be something that is as easy as possible to communicate to others. Obviously, with the addition of some reference or contextual link to what the game is about. Being easy to find on Google is important too, but it doesn’t need to be unique. Just by looking around at some of the most successful games it’s possible to see some clear patterns. Take Dragon Age, Assassins Creed or League of Legends for instance, they all have names that are easy to communicate to others, they’re easy to spell and easy to enter as search phrases but they contain no unique words. They’re just phrases. Clear, concise snippets that hint at the game context and are reasonably unique for easy searching. My challenge now is to find such a name or phrase before I need to start making some really serious noise about the game. It’s nice having nearly 100 followers on facebook and over 500 on G+ but if I’m going to have any hope of getting through steam greenlight I need about 100 times that number. A task that’s not as technically demanding, but possibly almost as big, as making the whole game in the first place. 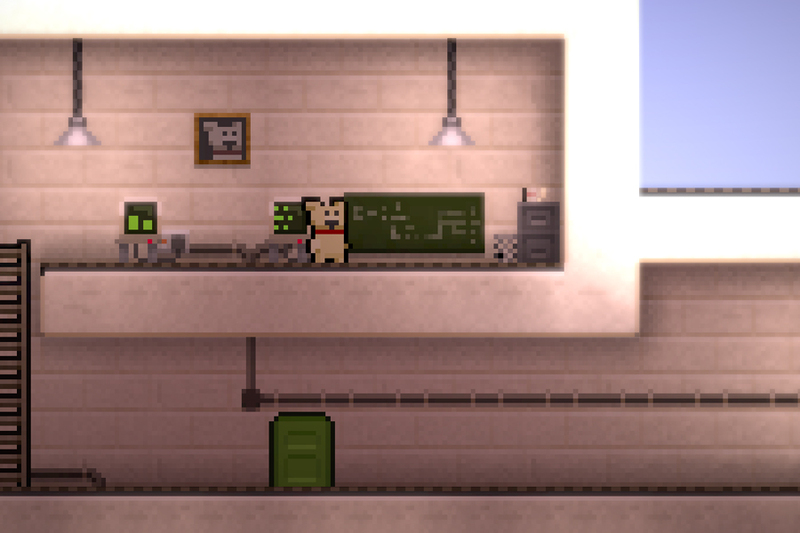 If you’ve played any of the Alpha releases of Moon you may have noticed the moon in the sky in the outdoor areas around the Observatory. The more observant of you may also have noticed that the phase of the moon matches the current phase of the moon. This is all great stuff. Except it raises an annoying inconsistency that’s been bothering me for a few months now. The changes of moon phase imply the passage of time, but the lighting of the world never changes. One one hand you experience the passage of days but never the passage of hours, so It’s always night. For a long time I’ve been resisting the temptation to implement a full day/night cycle, aware that if I ever want to actually finish Moon I have to be a ruthless as possible with my ideas. If it not absolutely needed, time shouldn’t be spent on developing it. However, the mixed messages about the passage of time were too much of a problem to leave alone. So now, in the outdoor areas, the daylight light matches the light in the real world and the passage of time is made clear. Things are still not totally perfect. I’ve kept the moon itself in the sky at all times of day. I could have made sure it was up at times that were appropriate but it’s an important indicator in the game. I decided it was too important to be missing for about half the day. I’ll just mark that one as artistic license. The recent release of Moon alpha 1.5 has brought me to a rather amazing place. About 95% of the code I expect to need is written, most of the biggest bugs are gone and feedback indicates that (at least some) people are having fun. This means almost all that remains is the creation of the actual content I want in the final game. 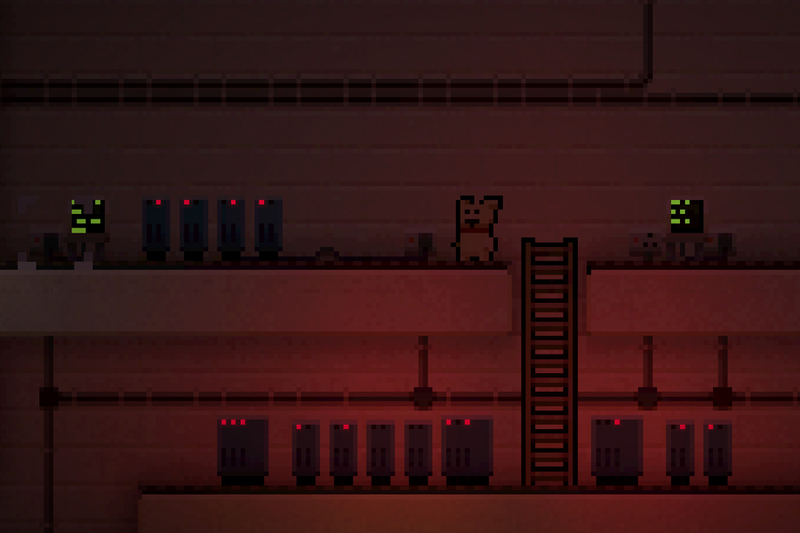 So, the exciting place I find myself is in front of my level editor with a head full of ideas and nothing to stop me letting them out. If you’ve played Moon at all then you may have wondered about a few odd design choices. Why is the key to the caves stored in an inaccessible location in the generator room? Why is the first puzzle so hard? Why did I have to pick up the weird blue thing at the start? Well, the simple answer to all this is that the levels present in the alpha builds have been there to test specific mechanics and ideas. There was a hint of some progression (mainly so the alpha releases didn’t feel totally flat) but it’s muddled. There’s almost no real room for a new player to learn how the world works and no clarity in the development of any plot elements. However, it seems that despite these flaws, the game is still fun. So, This brings me back to the amazing place I’m now at; With at least a little confidence that I’m making something that people will actually play and enjoy I can get on with converting all my sketches, paper notes and plans into the game world as it will be in the final game. This has some important implications for any future releases before the game is complete. Most important (and perhaps obvious) of these is that there will need to be more videos and images but less playable demos. This is mostly to avoid giving away things that might spoil the enjoyment and discoveries within the finished game. So, expect more cropped images (like those of the new world used in this post) , short videos and animations, more news and more general promotional noise but only very occasionally something new to try out. Until the next release, feel free to get the current version from the link below and tell me what you think. Suddenly, a new version of Moon appears. 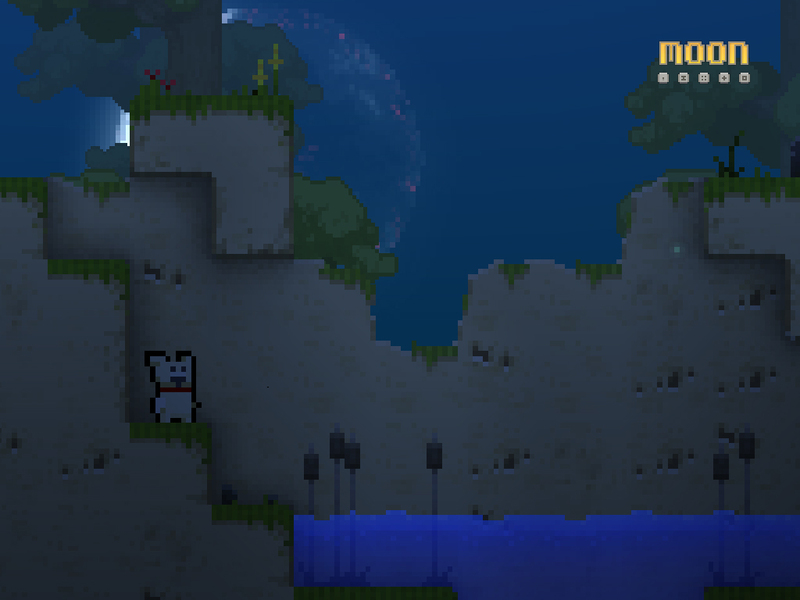 By the time I’d released the last version of Moon I was reasonably happy that all the significant technology code was written, that there would be only minor changes to code and that I’d be spending most of my time making new levels and interfaces and adding music and more audio. I was very, very wrong. I went into a lot more detail about some of the most significant changes in a previous post if you’re interested. 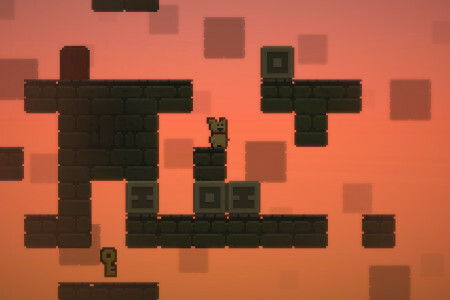 In short, there’s cloud save support, new game mechanics, new puzzles and music. Oh and probably a few new bugs. In keeping with the traditions layed down by many other indie developers I’ve dsecided to give you a quick summary of what I’ve been upto and what you can expect in the next release. All this while at the same time giving no clear indication when that release might be. For some time I’ve been hearing reports that Moon takes a long time to start on laptops or that everything starts up fine, except the graphics (the black screen bug as it’s been called). Along side all this I’ve also had some requests for some sort of cloud save support, so that when you’ve played for a bit at the office you can carry on where you left off when you get home. So, to address all these things I’ve spent much last few months making some pretty significant changes to the file system, graphics startup code and game save files. First, I’ve added additional checks into the graphics startup code so thet if your playing on an intel laptop that has more than one graphics system it chooses the more capable (non-intel) one if it’s available. This should much improve the experience of those of you that see the black screen bug all the time. I’ve also made 720p the default windowed resolution. Next, I’ve split the file structure in two. System files that are needed quickly and everything else. Usually when Moon starts it loads the entire package file into memory (which is pretty fast) then starts to unpack it. The unpacking process can be pretty slow so I spread the work out over all the available proccessor cores. This all works great on a desktop PC with lots of cores but on a laptop with only a few the unpacking time can go on for ages (30+ seconds seems quite common). So now instead only the files need to start up the graphics, network and audio are unpacked before the game is allowed to start. All that other unpacking needs doing but at least your not left staring at a black screen wondering if it’s crashed. Finally I’ve restructured the save file format and written a simple cloud save system. The files generated when the game was saved used to be hundreds of thousands of bytes (about 400K on a good day) which was far too big to be sending up to the cloud server all the time so I’ve shrunk that down to about 3K and written a simple system to serve those files when requested. I’ve tried to make it as simple as possible and aviod any account registration nonsense. So, in the options menu there’s just two boxes, ‘Username’ and ‘Password’. 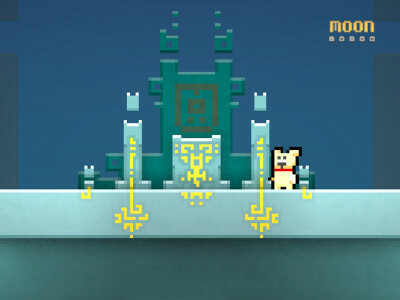 If you enter a new username and password combination an account will be generated for you and when you enter it anywhere else you’ll connect to that account and get your saved game. it’ll even auto connect from that point on to make it easy. Oh, and I’ve also started making more new levels. So soon, what’s new this time you might ask? Just in time for new year, The first Alpha version of Moon is now available (see the big link below). So, what great and exciting features have taken all this time? With luck the black screen bug is finally dead. 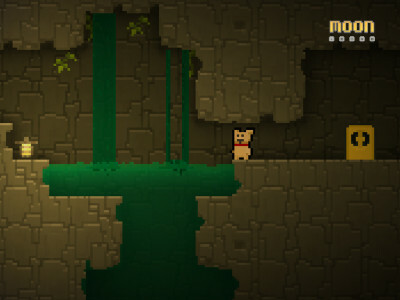 Lots of ambient sounds have been added (still no music yet though), I’ve added and updated a few puzzles, made some fixes to levels so you won’t get stuck, improved the controls (especially when jumping up through gaps), added interactive computers, added some hidden fun stuff and fixed lots more bugs. A few months have passed since I originally released a playable version of Moon. Since then I’ve been adding features and fixing bugs. So now you cane give the improved version a try. It almost feels like I’m building up a little bit of steam on Moon. 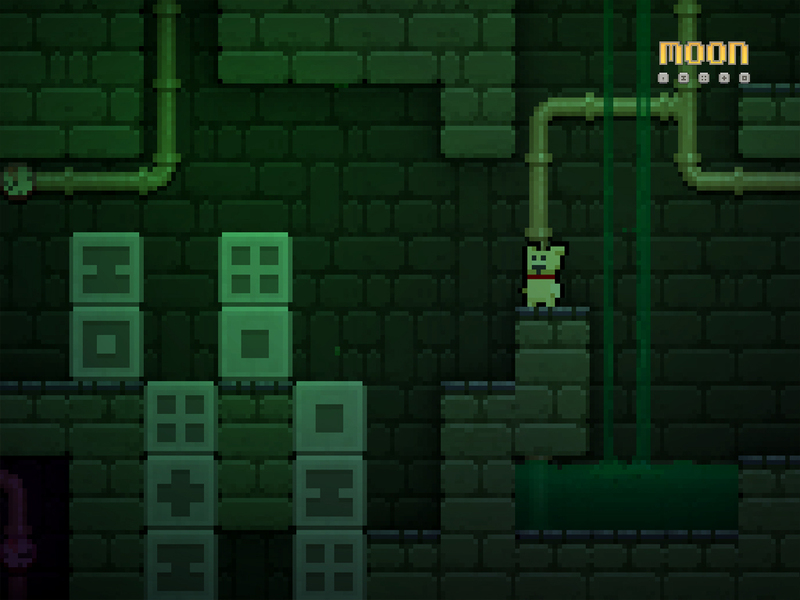 The level editor works pretty well and I’ve been adding lots of new graphics tiles when ever I get the chance on an evening or during a quiet moment or two during a weekend. However, by far the biggest improvement to it all has been the lighting and atmosphere system. I can now give every level a unique tone and feel. Everything from fogging and lighting to full on film-like colour correction. there’s still no sound or music and there’s some significantly missing features .. but it’s really starting to be fun and feel a bit like a game.